There is no doubt that the effectiveness organized by Facebook last week and it was Mark Zuckerberg star of the first was an occasion for many to communicate with him, and may have been an opportunity as well as to answer the founder of Facebook for the audience questions that focused on the company's strategy, but it also seems that some of the questions were unusual ! And effectiveness that took place during last Thursday Mark Zuckerberg revealed a number of personal things, and among them his answer to a personal question puzzling has been speculated on many occasions, and is the reason for choosing the founder of social networking site Facebook, often appearing in the same clothes, especially b "T-shirt" for gray and not to change his appearance. 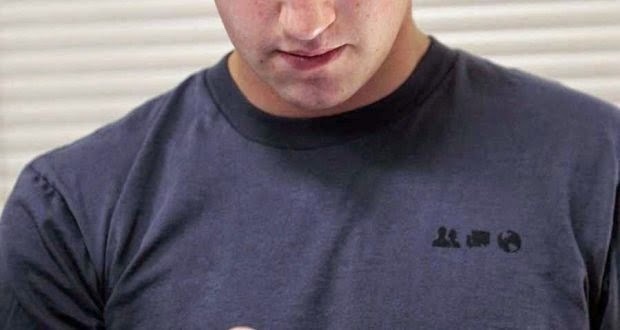 A Mark Zuckerberg was eloquent when he explicitly pointed out that the concern to take care of Bhajiat Facebook community and consisting of one billion and 300 million active monthly users makes it reluctant attention marginal matters such as choosing appropriate clothing every day or check the menu and the other simply because it believes that these things are as a waste of time and effort, in addition to that he has pointed out that a large number of T-shirts in the same color and the same design. Marc also pointed out that a large number of influential people doing the same thing whether it is US President Barack Obama, or also the founder of the late Apple (Steve Jobs).